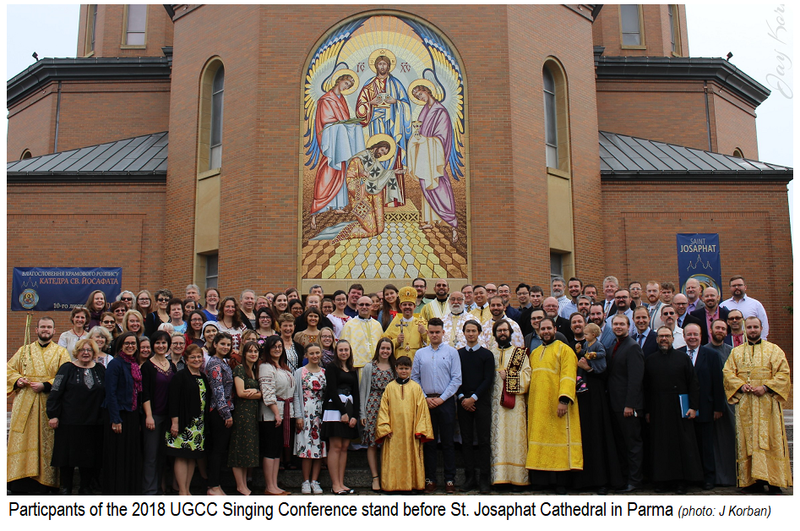 Over the first weekend of October in Parma, Ohio, the first annual Ukrainian Greco-Catholic Church Liturgical Singing Conference was held. The event was organized by the Patriarchal Liturgical Commission and hosted by the Bishop Bohdan and the Eparchy of Parma. The event was a huge success with participants coming from as far west as Richmond, B.C. and as far east as London, England. There was a large representation from Canada including large groups from the Eparchy of Edmonton and Ottawa, Ontario. Among the participants were individuals that people of the Archeparchy of Winnipeg might recognize - seminarian Jay Korban and Redemptorist Brother Eumir Bautista of the Yorkton Province, and one of the organizers was Dobr. Melita Mudri-Zubacz. The weekend was packed full of musical rehearsals, workshops for music development at the parish level, and a lot of networking opportunities from across the UGCC diaspora. Participants had the opportunity to learn from some of the best known liturgical musicians in North America including Melita Mudri-Zubacz, Ilya Galadza and Roman Hurko. They also had the chance to hear from four individuals representing the hierarchy, the clergy, conductors and the laity in a roundtable discussion. Throughout the weekend, many practices were held in order to prepare the over 100 participants for a Vigil service on Saturday evening and a Hierarchal Divine Liturgy on Sunday morning. The music that was created was truly beautiful and worthy of praising God with. 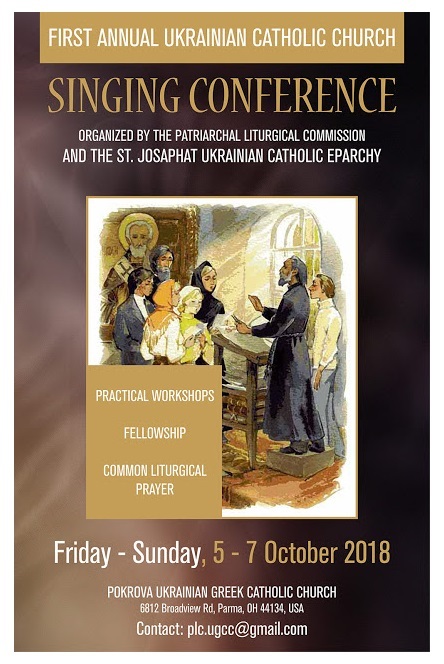 By the end of the weekend, people left not only excited for the next conference, but also as invigorated individuals to return to their eparchies and parishes to cultivate an incredible liturgical music culture that will advance the state and quality of church music in the Ukrainian Greco-Catholic Church.